The city of Hereford (pronounced Hair’-i-furd not Her’-furd; as our tour guide said, “you Yanks got that bit wrong”) has been in existence since the Romans found it as a convenient place to ford the River Wye in the early 7th century. The city of 50,000 is an eclectic collection of old and new including a thoroughly modern supermarket down the block from a 1000-year-old cathedral. Hereford is the home to the World Hereford Cattle Registry (which we Americans pronounce Her’-furd), and the SAS (Special Air Services – the UKs excellent commandos); we were cautioned not to get in the way of smallish, well built men with grins. Most importantly for us, its the home of the H. P. Bulmer Limited, Cider Mill. This spring we had the distinct privilege and pleasure to travel to this wonderful English city to visit Bulmer’s operation and learn about cider production on a very large scale and gain an understanding of their passion for their product. We were the guests of the Guiness Importing Company and are grateful to Cindy Granskog and Howard Pulchin for the opportunity. Mr. H. P. (Percy) Bulmer first pressed apples from his father’s orchard in 1887. The Reverend Charles Bulmer, young Percy’s father, an amateur cidermaker, probably taught him the art, but it was his mother who propelled him into his life’s work with the sage advice “Food and drink never go out of fashion”. He started buying apples from the local farmers and produced 4,000 gallons of cider his first year. His brother Fred, who became the company’s first salesman, joined him the next year. A Royal Warrant was granted the company in 1911 and in 1936 a major expansion of the company began with the purchase of additional land. The present day operation located on this land includes a new £3.5 million canning line, a £2.5 million technical center and a new £21 million computer controlled cider making plant. 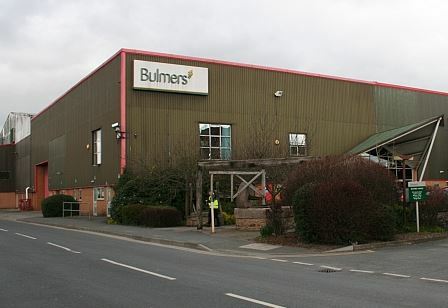 Bulmer, the largest apple pressing mill in the world, employs 900 people. About half of the UK’s 98 million gallon cider market is supplied by Bulmer with annual sales of £255 million. Bulmer’s success can be attributed to three points of their corporate philosophy. First and foremost is maintaining the integrity and tradition of their product. To accomplish this, they have made a commitment to protecting, propagating and promoting the bittersweet apples, which are essential to the character of the cider. Second is a $25 million capital investment in new equipment not only increases the capacity of the physical plant but also insures the consistent quality of the product. The third leg is brand building. In the 70’s the cider market in the U.K. was about 330 million liters per year and decreasing. With increased marketing push it is now more than 550 million liters per year and growing. This new market is expanding world wide and to our good fortune, to the U.S..
Our hosts for the tour, Aidan Smith, Bulmer’s Regional Manager and Paul Siviter, the International Marketing Director, started us at the company’s Nelson Technical Centre. The center, opened April 18,1991, employs about 30 people. Its mission is research and development in all aspects of the cider industry. This includes such disciplines as long term product and packaging development, Quality Assurance, engineering development, planning of the investment, culturing yeast and micro flora, optimizing juice extraction, optimizing fermentation, and hazard analysis. Known as the ” University of Hereford”, this state of the art facility carries on diverse avenues of investigation such as the microbiology lab looking into a new strain of E. coli in apple juice which is a problem in the Northwestern U.S. to the marketability of florescent bottle sleeves or coating which make the bottle glow under the “black light” of your favorite disco. Blind profile testing is done at the Tech Centre for brand continuity and new products utilizing the oldest of research tools; the human palate. A board of locals is assembled to do the tasting and the results are subjected to statistical analysis. From the halls of gas chromatographs, glass and stainless steel to the organic heart of the operation, our tour moved to the orchards. We were handed off to Orchard Manager, Tim Epps, a man passionate about bittersweet apples. Talks about them like old friends. The bittersweet, which originates from the Westmidlands, Normandy, and Brittany are not only the raw material for the cider maker but are what sets English cider apart. Developing strains of bittersweets with the proper tannin content and which will easily release juice during processing. In the 70’s, ahead of their expansion, Bulmer planted its own orchards. They started a nursery to insure the supply of the bittersweets essential for good cider. Bulmer has 2300 acres in production within a 40-mile radius of the plant and another 1300 acres under contract. The contract growers (30 year contracts mind you) are advised by Bulmer’s personnel, a function of the Tech Centre, and obtain their trees from Bulmer’s nursery. In addition to the contract growers, they purchase apples from some 4000-5000 acres of old traditional orchards. Plans are to acquire 600-800 acres per year for new bittersweet production. 99% of the apples bought by Bulmer are traditional varieties. These old varieties are very hardy and disease resistant, as they have been cultivated for so many years before the advent of pesticides. It requires a full six years to put an orchard into production. 15 varieties are grown by Bulmer, not only for a variety of flavors but to help manage the risk of loosing a crop to frost which is important with the bittersweets as they bloom and ripen later than culinary apples. This also spreads out the time of harvest allowing the plant time to keep up and it insures consistency of the product as these are all blended to form the base ciders. The trees are of a medium stock, 15- 18 feet tall with a 7 foot spread, and are planted very close together in “bush orchards”. This new style of orchard is design for high yield and mechanical harvesting. The machines move down the rows in the orchard shakes each tree for 15-20 seconds dropping the fruit to the ground to be swept up by another machine. If the fruit is at the proper ripeness, 100% of the fruit should fall. In the old days the fruit was allowed to fall naturally as it ripened and piled up to mature before processing. The apples are harvested at the maximum sugar content (sugar is the fermentable) to maximize the fermentation yield. The grass planted between the rows facilitates the harvest by helping to support the machinery and cushion the apples as they fall and keeps them clean. A tour of a beverage company would not be complete without a look at the bottling plant. Bulmer’s is topnotch. Six lines with capacity of 7000 to 13000 bottles per hour per line allows them to package 50 different products efficiently. They also do some contract packaging. We observed DAB beer being canned and palleted on our tour, which was escorted by the capable foreman Andrew Rawcliff. The kegging facility across the alley can handle 725 kegs each hour, which is an indication of the plant prodigious output. John Williams, a Bulmer shift supervisor, showed us around the ultra modern processing plant where the cider is made. Again, the size of the operation ranks up there with the large breweries. 20 million gallons of juice from 350,000 tons of apples at a rate of 1500 tons per day is a normal harvest time load. Accomplishing this Herculean task is aided by a new distributed control system. Fruits are blended as they arrive at the plant before processing. They are graded for the desired characteristics by the orchard in which they are grown, variety, sugar and moisture content. This blending makes up for variability of the crop from year to year and assures a consistent product. The fruit is moved into the plant by water; an efficient way to move apples which has the added advantage of washing the fruit. The fruit passes through separators that remove any unwanted material and sent to the milling machines. Since apples are hard fruits, they must be crushed to allow optimum release of juice. The milling machines have sets of rotating blades that can be adjusted for the size and moisture content of the apples. The crushed apple mash is then pressed between a pair of conveyor belts, which pass between rollers with a progressively diminishing space between them. A rotating drum press is also used. The apple pomace (the spent mashed apples) is used to produce pectin. The juice is unstable at this point because of the natural wild yeasts present on apples. The process is to treat the juice with sulfur dioxide to get rid of the wild yeasts, pitch the selected yeast, usually a S. Cerevisiae variant, and start the fermentation as soon as possible. Some of the juice is concentrated by evaporation to increase storage capacity and allow planning production over a longer period of time. In the old days, all of the apples were crushed, pressed and fermented at harvest time. French culinary concentrates are also used to augment production for the long haul. The fermentations are further blended into base blends and stored in the “planets”. The planets are 500,000-gallon storage tanks named for each of the planets in the solar system and some constellations. Fermentation is allowed to go to dryness any sweetening will be added during final production. Acid levels build up in the fermenting juice and will stop the yeast fermentation process and the cider will undergo malo-lactic fermentation. More time is needed to ferment cider because apple juice does not contain a great deal of yeast nutrient. At this point the product is stable. A range of base blends is produced to be mixed (including some perries) together for the finished cider. Ciders must also be matured to reach full flavor. Some of the perry and premium blends are matured in 100-year-old oak tanks from the original cider plant. Carbon dioxide used for carbonation is recovered form the fermenting tanks and pumped into a large balloon for storage. The ciders are filtered in crossflow membrane (.2µ) microfilters before bottling. Now we get to the good part, tasting. We were introduced to John Murray, Technical Manager and his assistant Dennis Edwards. John first reviewed the styles and methods Bulmer uses in their product line. Bulmer makes Anglo style that is more ale like; continental cider is more of a champagne style. He explained that cider is more costly to produce because it must be fermented for a longer period, apples cost more than barley and all the apples must be processed at harvest time so storage is a concern. Bulmer has 1.8 million Imperial gallons of fermented juice in storage at 7.5 abv, which is used to blend into their various products. This main “blend” is low in acid and high in tannin and is the base for the premium ciders. This is blended with culinary apple ferments and sugar may be added for sweetness. This blending process is a “combination of science and art”. Later we had the unique experience of tasting the base blends with Head Cider Maker Johnathan Blair. The main blends are simple, with no outstanding characteristics; that’s the point, nothing stands out so it may be used as the base for many ciders. Other blends have distinct traits which when mixed with the base produces the different brands. The first cider offered was Bulmer’s #7. Its recipe is one of the original 12 from the list that old Percy produced. It was a wonderfully complex dry sherry-like cider with a deep golden color. This is one of the ciders, which is matured in the old oak. #7 is a good example of a real tradition English cider. We sampled about 10 different ciders ranging from cask conditioned traditional ciders to alco-pop. Among these was a Bulmer cider we can purchase here, Woodpecker. Woodpecker, believed to be the oldest brand name in the UK, was selected for the US market because it is a medium sweet mild (3.5 abv) cider, which would build the American palate for cider. It is a very refreshing, pleasant drink with a fruity flavor with toffee-apple notes. Woodie is billed as “the easiest drinking cider in the world” and we tend to agree. It has been very well received in the US and from personal experience everyone seems enjoy it. Bulmer plans to continue their export of Woodpecker and add to their line Strongbow. Strongbow is the best selling cider in the UK and the world. If it were a lager, it would be the ninth largest seller in the UK. In September, the Guiness Importing Company will begin test marketing Strongbow in a number of major US cities. If all goes well, and it should, full distribution will start in the first quarter of 1997. Strongbow is another clean, refreshing, easy drinking cider but less sweet and more complex than Woodpecker. It is a clear, straw-colored, and lightly sparking with a fruity apple character of the bittersweet. This full-bodied cider is medium dry with a clean slightly astringent aftertaste. If you have tried and enjoyed Woodpecker you will enjoy Strongbow. 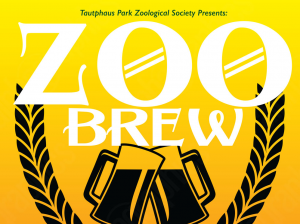 Keep your eye out for the launch of this beverage, it should be worth the wait. For a treat try floating a little Guiness Stout on the top of your cider. This is very popular in England. When done with Strongbow its called a “Black Arrow”, with Woodpecker its a “Black Bird”, maybe with Cider Jack you could call it a “Black Jack”; use you imagination. Drink cider, it’s a nice, enjoyable change from the every day fair. Treat your guests and replace that bottle of wine on the table for your next diner party. Have a friend who has developed bitter beer face? Serve cider, we think you will be happy you did.